A weaver makes a fabric by threading up a loom with lengthwise (warp) threads, and then weaving horizontal (weft) threads across them. The weft yarn is wound on a shuttle, and this is passed back and forth across the loom while alternate warp threads are raised and lowered by heddles. 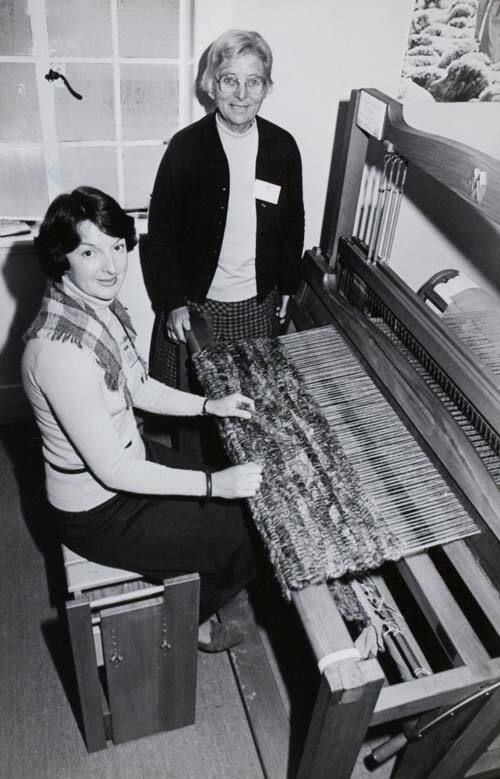 Marjorie Walters (seated) is weaving on the loom at the Nathan Homestead, a community centre in Manurewa, Auckland, in 1981. She is watched by Pam Sowerby, the president of the Auckland Spinners and Weavers Group.